Be certain before you become a homeowner! With more than twenty-five years of Long Island home inspection experience, you can be certain that if we inspect a home, you will have detailed and accurate information on its condition. As one of the premier inspectors in Manhattan and across Long Island, our inspections involve a fully comprehensive evaluation of the structure by a well-trained and experienced investigator. Home inspections consist of a thorough evaluation of a structure’s condition including all its interior and exterior systems and components. We inspect single homes and multi-family such as apartment buildings or condominiums. Our inspectors will evaluate every accessible space of a structure. • Pre-listing: Before you put your home on the real estate market, it’s you should order an inspection by a qualified and reputable professional. By doing this pre-listing inspection, you know whether there is anything you need to fix in your home before you list it. These types of checks will turn up issues a homeowner was not aware of such as mold, termite damage, or water incursion somewhere in the house. Know what is wrong in your house can allow you the opportunity to fix it or at least disclose it upon listing your home and setting the sales price accordingly. In the past, home inspections were usually only conducted by buyers seeking information. In recent years, savvy home sellers are conducting these inspections to address problems before setting a sales price. • A pre-purchase inspection: Anyone thinking of buying a house should order a full inspection of the property during their due diligence period. An inspection will turn up any issues with the structure and allows the potential buyer the opportunity to either accept the house as-is, re-negotiate an offer, or walk away before the due diligence period ends. Home inspections are an added measure of information and security to a potential home buyer and should never by skipped. • New construction: Sometimes new home buyers believe they don’t need to order an inspection before accepting the newly-built house. However, it’s always prudent to request an inspection before taking possession. These types of inspection can turn up things that might have gone wrong during the build. To conduct the most thorough inspections, we always equip our employees with the best and more current technology and tools available in our industry. It allows them to perform the most accurate inspections. The technology combined with our technicians’ vast experience has helped us provide top-notch service and great reviews from clients. 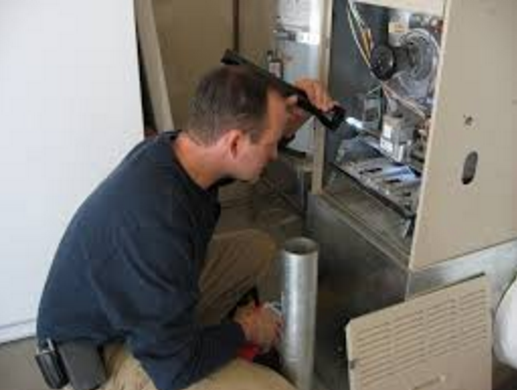 Customers should be present during an inspection so that they can hear directly from their inspector. Our technicians will talk to clients throughout the evaluation. This communication offers you the opportunity to receive instant feedback on the condition of the structure. We believe that the most efficient and accurate inspections are those involving excellent communication with the client. Lastly, all home inspection reports, written and verbal, are considered confidential by our company. We are fully licensed as home inspectors in the state of New York and hold certifications in the industry respected International Association of Certified Home Inspectors (InterNACHI) & American Society of Home Inspectors (ASHI). We serve all areas of Manhattan from uptown to downtown and everywhere in between as well as Long Island. With our years of service across Long Island, we have built a loyal clientele in Nassau County, Suffolk County, Queens and Brooklyn and enjoy return clients as they buy and sell homes. If you are interested in learning more about whether we serve your area, please contact for more information. We offer many different home inspection services however what we are most known for are our buyer inspections, seller inspections, termite inspections, multiple family home inspections, and condo inspections. We guarantee your customer experience including our inspections. Call us today for a no-obligation estimate or an appointment. We look forward to hearing from you!